UPDATE Feb. 20, 2016: I originally wrote this post in 2010. In case you’ve run across it, here’s an updated graph showing both Canon and Nikon through 2014. It doesn’t include the most recent cameras like the 5Ds series, 80D or 1Dx MKII on Canon’s side or the D5 and D810 on the Nikon side. So I was trying to figure out how old some Canon DSLR models were and I had trouble finding one source until I found the nifty little graph above in an on-line forum. Click for a larger view and underneath the model number you’ll see the megapixel count and the sensor crop factor (1.0x = full frame, 1.6x = APS-C, etc.). For more on crop factors, check out this previous blog. The graph ends in 2009. For a list which includes 2012 check out this list on Wikipedia. The prices are interesting. Eight-thousand for the 1DS MKIII in December of 2007! Three years later it goes for about 6-thousand. Not bad depreciation. I’m not leaving Nikon shooters out. Check out this similar graph on Wikipedia for the Nikon lineup through 2012. 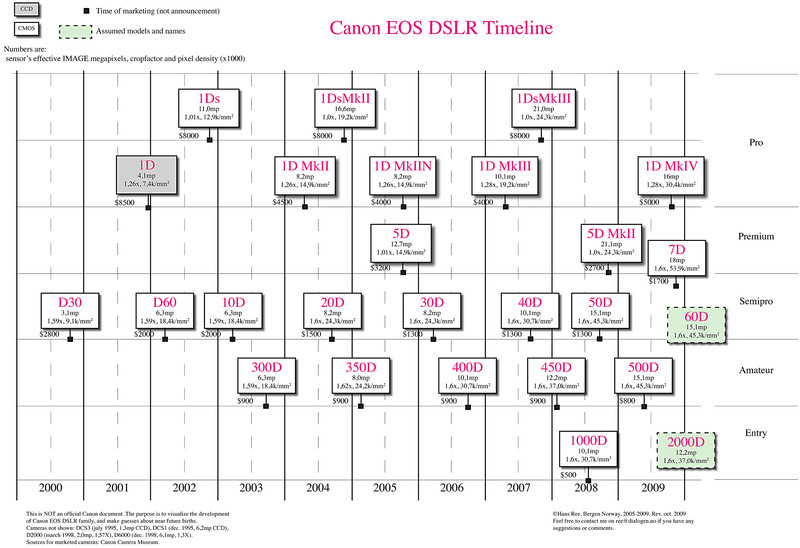 If you want a more visual presentation, Ken Rockwell has a timeline from 1973-2012 in reverse chronological order with pictures of each model beginning with the D1, the “worlds first practical DSLR”, in 1999. 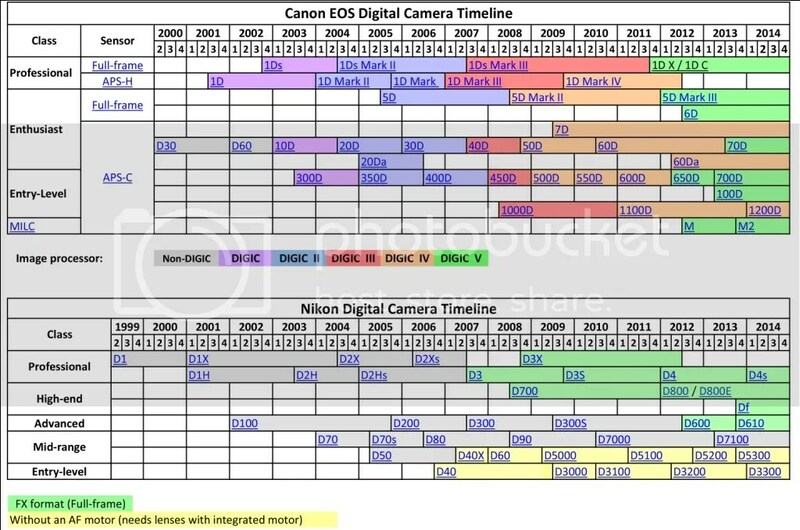 It’s also interesting to see how quickly or slowly Canon and Nikon replace some models. The 50D, for example, replaced the 40D in only one year. But the 5D MKII came along about 3 years after the 5D. 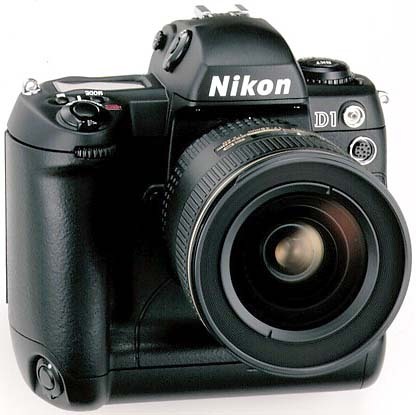 Nikon seems to average about 2-years between upgrades. This is why I tell people to invest in good lenses and not to worry too much about camera bodies. My problem is… I want both! Here’s hoping you get one or the other in 2011 if you didn’t for Christmas. On that note…Happy New Year!